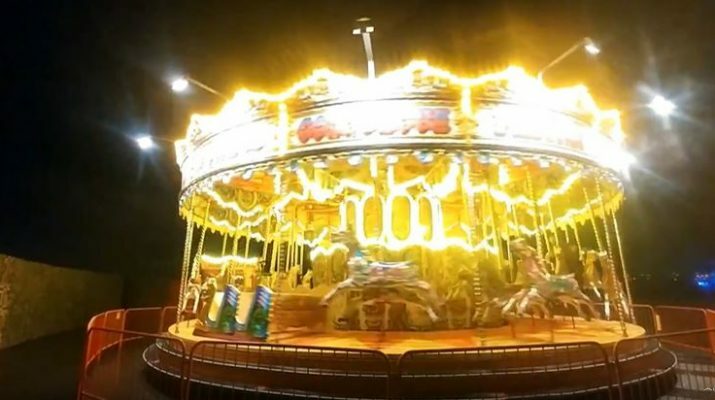 This beautiful old style Gallopers merry-go-round was at the Helix Park and Kelpies Fire and Light event on the 2nd January 2018. If they do this event next year I will definitely be attending with a better camera as mine struggled with the light conditions and the ever-present mist in the air. Enjoy the movement of the old style gallopers and the music in the background and see if you can tell what it is. The music is actually made by the ride.